This past weekend was a long weekend and Jonathan and I found ourselves making an impromptu drive down to my hometown. It was wonderful to get away for even just the night and I relished the 24 hours back home. One of my highlights was spending Monday morning at a local u-pick, Treasure Valley Markets, with some gals gathering some of the fresh produce. My main goal was to stock up on the saskatoon berries but sadly their season was almost over so pickings were slim. Now it's likely you may have never had the pleasure of tasting saskatoon berries as they are mainly found on the Canadian prairies. These berries are incredibly good for you, being very high antioxidants and fiber, but very few actually know about them. Maybe it's better that way, forever remaining the prairie's little secret. They also are incredibly bad for staining clothing and hands. After all was said and done I left with half a bucket of saskatoon berries and half a bucket of raspberries. I realize this isn't a whole lot but regardless I was content with my spoils. Another lovely side to the u-pick farm was the petting zoo with a few farm animals wandering around in a pen. I quite fancy donkeys so I was delighted to see a very cute little one amongst the cluster of goats and lambs. Of course the kittens and dogs were as friendly as could be and enjoyed our cuddles as well. This was such a fun little place to go for a summer outing. So, if you're in the area go visit Treasure Valley Markets. 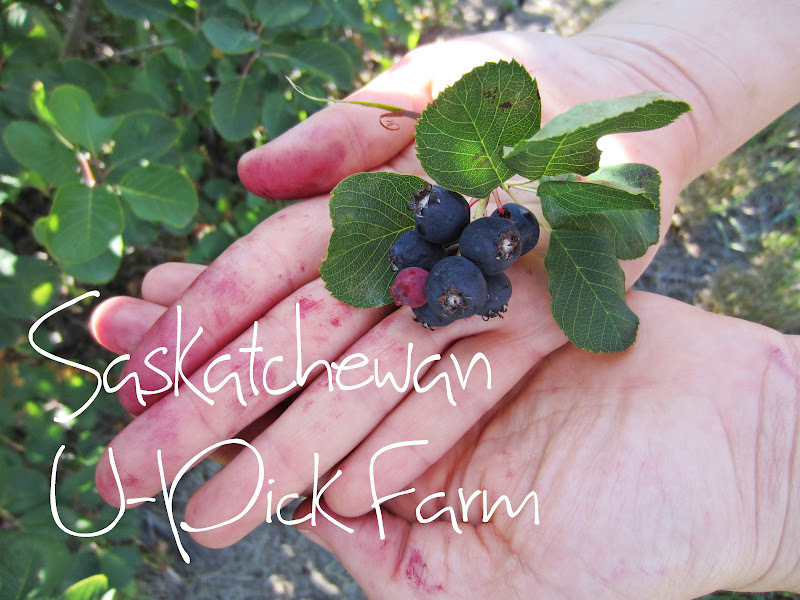 It's a beautiful oasis on the Canadian prairies with lots to do and lots to pick. Fun! I love U-Picks! And the pic of you and the donkey - ADORABLE! Yum yum yum so jealous! I have yet to go berry picking this summer!